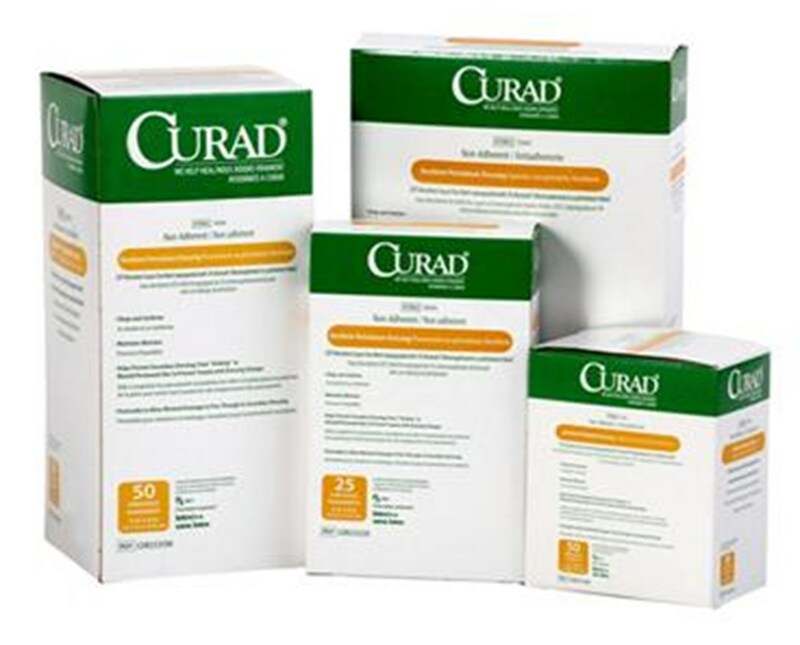 Curad's Sterile Xeroform Gauze is an occlusive, non-adherent dressing contraindicated for draining wounds. It is made of a U.S.P. 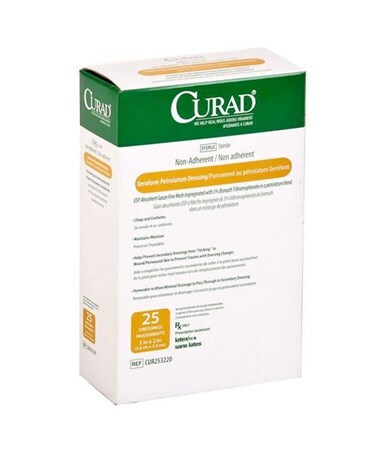 absorbent gauze impregnated with 3% Bismuth Tribromophenate in a petrolatum blend. 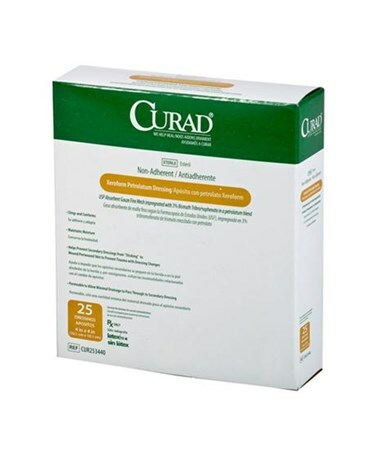 The xeroform is a medicating and deodorizing agent. 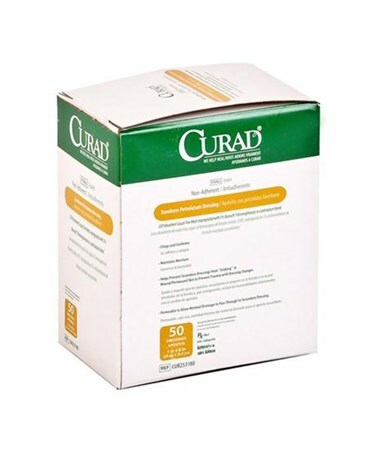 The gauze clings and conforms while maintaining moisture, and helps prevent secondary dressing from sticking to wound/periwound skin to avoid trauma with dressing changes. It is permeable to allow minimal drainage to pass through to the secondary dressing. 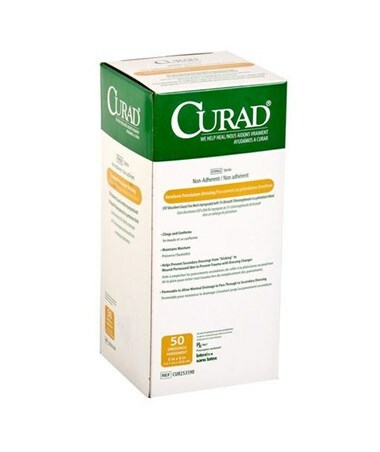 Curad Sterile Xeroform Gauze is also latex-free and sterile. 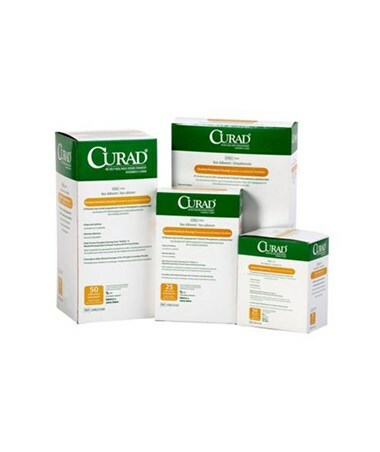 We offer Curad's Sterile Xeroform Gauze in four sizes, each sold in three quantities (individual, box, case). Select from the drop down menu above and order online direct by clicking "add to cart!"